Is your monthly budget getting you closer to your financial goals? 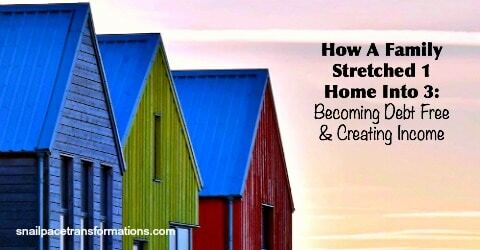 Are you enjoying life more because your budget is helping alleviate financial stress? If not, it might be time to evaluate your budget. In fact, even someone who is in love with their budget will benefit from a quarterly budget review. With a notepad and a pen in hand answer the following questions. 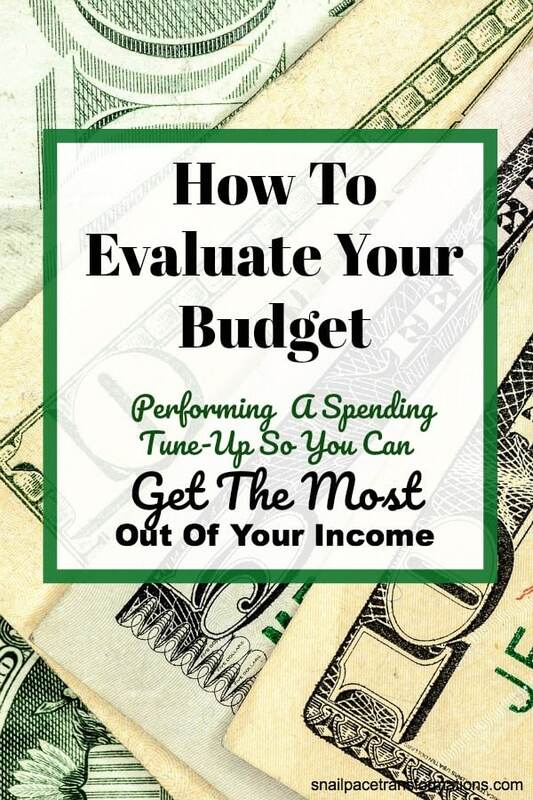 If you do your budgeting with someone else make sure they take part in answering these questions and in performing the spending tune-up. What financial goals do I want to reach in the next four months, six months, year, two years, five years? 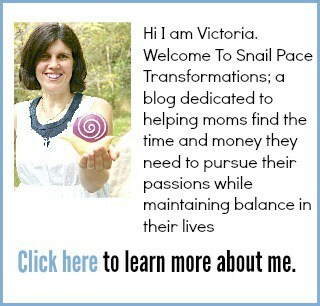 Do I feel like I squeeze pennies so much that life is more about existing than thriving? If I had more money, in what areas of the budget would I spend it? If I had less money, what would I cut out of our budget? Have I made financial headway in the last four months, six months, year, two years, five years? Now that you have reevaluated your financial goals and have a good idea of where your money priorities are, it is time to look at that budget. What areas could you get rid of altogether to make more room in the budget for things that matter more? These are the things you said you would love to spend more money on if you could. Make more room for them by getting rid of things you said you would cut if you had to. Subscriptions to gyms, magazines, online video and TV streaming services, satellite radio. 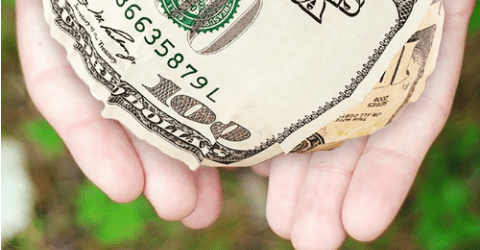 These items might be $7 here, $10 there, but when those savings are combined with other strategies on this list they can help you make serious financial headway. An extra vehicle: If one of you stays home and the other works close by, this might be an option that could save you hundreds per month. That savings might be worth the few extra minutes of scheduling hassle you might experience each day from having to share one vehicle. 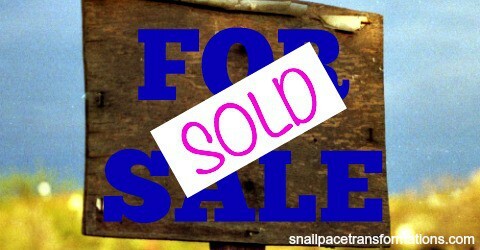 Is there a small debt that you could knock out in a hurry by selling some items you don’t need? Consider taking the time to do so and then use the money that was used to make the payment towards another financial goal. There are areas in everyone’s budget that don’t serve our life priorities, yet we still have to spend money on them–things like utilities. However, it might be possible to cut back on the amount you spend on these expenses. Cell phone service: Our family uses Ting for three smartphones and pay on average just over $40 a month total. If they don’t offer service in your area, Tracfone is another great inexpensive alternative. Your home: Moving isn’t easy, but changing homes could mean substantial savings for the long term. If you can live in a smaller home, you can save money on rent or mortgage payments as well as utilities and upkeep costs. Move closer to work and you can save on transportation costs (plus the added benefit of being home more). Now that you have trimmed those areas in your budget that don’t matter to you it is time to move on to see how you can enjoy those that do matter for less money. This isn’t about deprivation; this is about taking what you have and making it stretch as far as you can so that you get as much of what you enjoy as possible. This is how budgeting becomes fun. Free is available in almost every area in your budget. It just takes some out of the box thinking to find it sometimes. Love magazines? Get them for Free with RecycleBank points or through these places. Love books? Get them for free through My Readers Rewards Club (paperbacks) or Spirit-Filled Kindle. Love your gym membership? See if you can volunteer in some area and get a free pass. Love certain online stores and services? See if they have referral programs that reward you when you share them with your friends. These are just a few ideas off the top of my head. 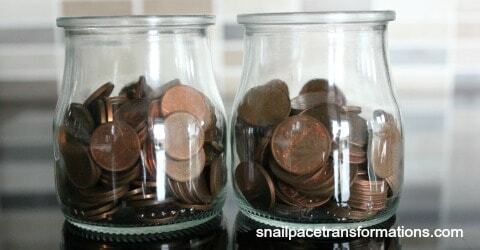 There are hundreds if not thousands of more ways to keep things in your budget that you love for free. OK, first you need to hear this straight from a thrifty ninja’s mouth: sometimes buying used isn’t the best option financially. That is a whole separate post. For the most part, however, buying used does make financial sense. Yard sales: Nothing is better for the wallet than a community-wide rummage sale. These are a significant source of home decor for our family as well as other items. Locally owned thrift stores: I find these to be cheaper than chain thrift stores. Chain thrift stores: If I want a specific item of clothing in a hurry, this is where I head to find it due to the vast selection these types of thrift stores have. eBay: great for parts for items. Craigslist: need a car or camper or some other larger purchase? look on Craigslist. Buy & Sell apps like Letgo: our city isn’t huge, so there isn’t a vast selection in these apps yet, but if you live in a large area chance are these might be an excellent source of secondhand items for you. Consignment stores: they can be pricey, but they’re still a useful resource for specific items such as sporting goods, dancing outfits, etc. Our family has fallen out of the habit of buying these lately, but when we do we save at least $25 a month on everything from entertainment to groceries, to home repair items, to clothing and more. The trick is to estimate what you are going to spend at a particular store and then buy a card that will be about 10% less than that. That way you are not stuck with a bunch of gift cards with just $1 to $2 on them and nothing you need to buy. Our family uses Cardpool, but Raise is another good option. You can also check out Butterfly Saves for ecodes that can save you as much as 50%. Such as this one where you pay $10 for $20 to spend at Walmart.com. Of course, you can always use point reward programs to earn gift cards through things you already do online without getting rewarded to lower the cost further as well. Cash back apps are so simple to use. Most require you to simply click a few buttons, upload a receipt, click a few buttons and then wait either a few minutes to a few hours and receive points for your efforts. Trade your points in for gift cards! Use the gift cards to pay for items you need. Such a thrifty win! FetchRewards: It is super simple to earn points using FetchRewards, just shop wherever you shop for groceries and when you are done, upload your receipt to FetchRewards. Within 24 hours (sometimes longer) you will receive points for your receipt. When you have enough points cash them in for a gift card. What you earn depends on what you bought and what their current offers are. Ibotta: Ibotta cash outs start at $20, but there are so many different types of stores where you can earn cash back through it that it often doesn’t take long to make it to that $20 cash out threshold. You can earn cash back either through apps on your smartphone or in-store shopping. Use it to collect cash back on groceries, clothing, pet supplies, home decor, entertainment and more. Once you sign up, click on the account icon. At the bottom, you will find “how to use Ibotta.” Click on it, and you will find a tutorial explaining how and where you can use it. Go here to sign up for Ibotta. BerryCart: If your family has gluten allergies or prefers organic and all natural products, BerryCart could generate some decent cash backs for you on your grocery shopping. Gift card options start at $5, and many rebates are $1.00 or more so it shouldn’t take long to earn a cash out. Shopkick: You don’t have to purchase anything to earn gift cards through the Shopkick app. You simply sign in when you enter select stores and earn kicks just for entering in the store and/or by scanning select products while you shop. You can earn more by purchasing certain products and uploading the receipt. Go here to sign up for Shopkick. Use my referral code KICK040635 when you sign up and get 250 kicks when you do your first walk-in or scan within seven days of joining (I maxed out on referral credit with Shopkick, but it seems to be still giving my referrals their sign-up code bonus). Receipt Hog: This app doesn’t pay much, but it does pay something, and it is so simple to use. Upload a receipt by taking a picture of it with your smartphone and watch your points and spins add up in Receipt Hog. There are lots of stores that qualify. And it works at grocery stores, gas stations, restaurants, clothing store and more. Read my full tutorial on Receipt Hog here. Cash back sites are my favorite way to stack discounts on top of one another. See your favorite brand of running shoes on sale? See if the store is part of a cash back program. If it is, you can sweeten that sale by a few more percentage points. I use Swagbucks for cash back offers whenever possible. First, because they offer a wide variety of stores and second because I already earn SB points through them in other ways so when I combine those with cash back on shopping, I reach cash outs levels faster. If there isn’t cash back listed for the store I want to shop at through Swagbucks, I then try Ebates. Ebates offers thousands of coupons, promo codes, and discounts. Ebates offers payouts four times a year; your account must have a total of $5.01 to qualify for a payout, excluding bonus rewards (such as friend referrals). You can get your payment by check or by PayPal. When you use this link, you get a $10 gift card after your first purchase of $25 or more (I believe this deal has a time limit). And if Ebates lets me down, I head to TopCashBack. TopCashBack has no minimum payment threshold–meaning even if you just earn $1 back, you can cash out. Payment is made through direct deposit, Paypal, or you can get an extra 2.5% when you choose an Amazon gift card code for your form of payment. Their list contains over 3,200 online stores. They do take a long while to approve cash backs, but I have earned several successful cash outs through them. Before I click “complete order” on any online purchase, I always open up RetailMeNot in another tab and see if I can find a discount code. This has saved me as much as $25 on one order! If you love Starbucks, but don’t use their Starbucks Rewards program, you are throwing money in the garbage. And many other restaurants and stores offer such programs that can either save you money on that brand and/or earn you rewards and gift cards. These three have websites, but many stores and restaurants have apps such as Chick-fil-a and McDonalds that offer rewards to customers. Don’t forget traditional sources of coupons such as printable coupon sites like Coupons.com, Hopster, Redplum, and Smart Source. 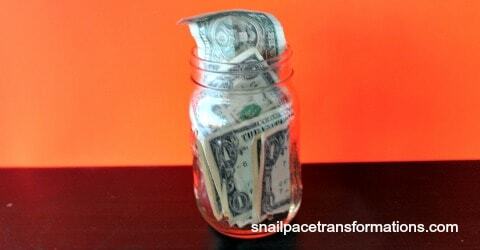 They might only save you .50 cents here and a dollar there, but remember: small streams of savings add up. Zulily: For those times that certain brands are just worth paying more for, but you don’t want to pay full price. Jane.com: Great for unique handcrafted gifts at a low price. Etsy sellers often participate. GroopDealz: Low prices on the latest trends and handcrafted items. Cents Of Style: Low prices on the latest fashion trends–clothing, jewelry, and accessories. Consistent tracking of all spending keeps your eyes always open for small cracks forming in your spending habits. Find a simple system for tracking that works and stick to it. You can use an app like YNAB (fee-based) or Everydollar (this has a free version). Our family currently uses pen and paper. If you are looking at this list and going, “but we already do most of that and our family still doesn’t have the money to do what we love,” then it is time to start growing your income. I am planning a part two to this post that will explain how to do just that. In the meantime, you can check out my point rewards programs page, my work-at-home page, and my reselling page for ideas on how to generate extra cash. 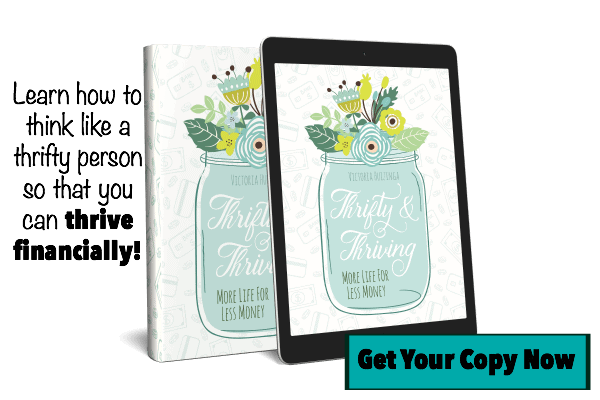 Being thrifty isn’t just something you do until your current financial goals are met–it is something you do year after year so that you can continue to thrive financially. 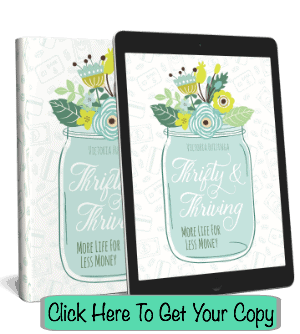 My book Thrifty & Thriving shares more than 40 key practices and principles that thrifty families use every day.